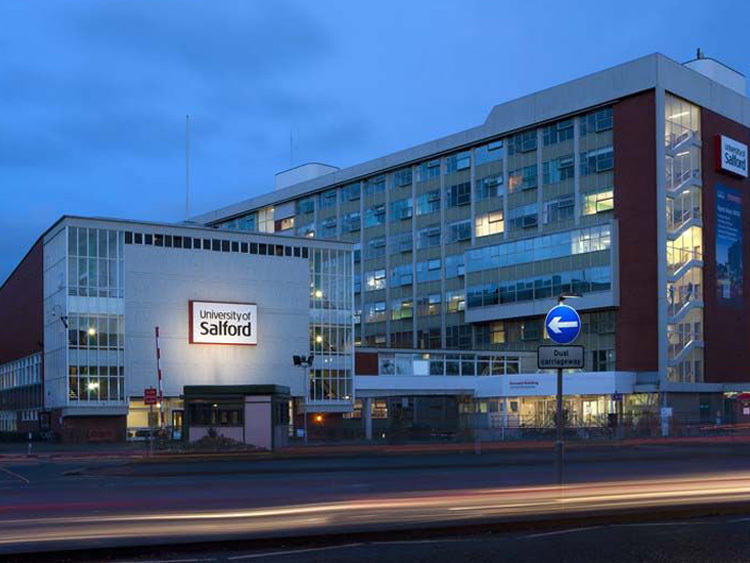 This landmark building is right at the front of the Peel Park Campus, clearly visible from the main road into Manchester. The Maxwell Hall is comprised of an upper and lower hall. 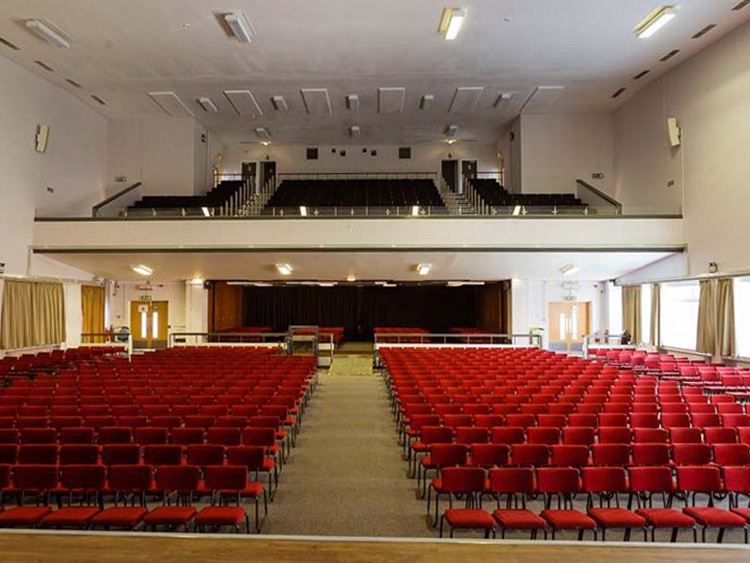 The upper hall seats up to 1000 people and has a large stage and changing rooms. The lower hall can be used as an exhibition area. Adjoining the main hall, Maxwell Building has nine floors of classrooms, lecture theatres and meeting rooms. There is a large cafeteria on the ground floor which can be used for event catering. The Maxwell Hall is comprised of an upper and lower hall. 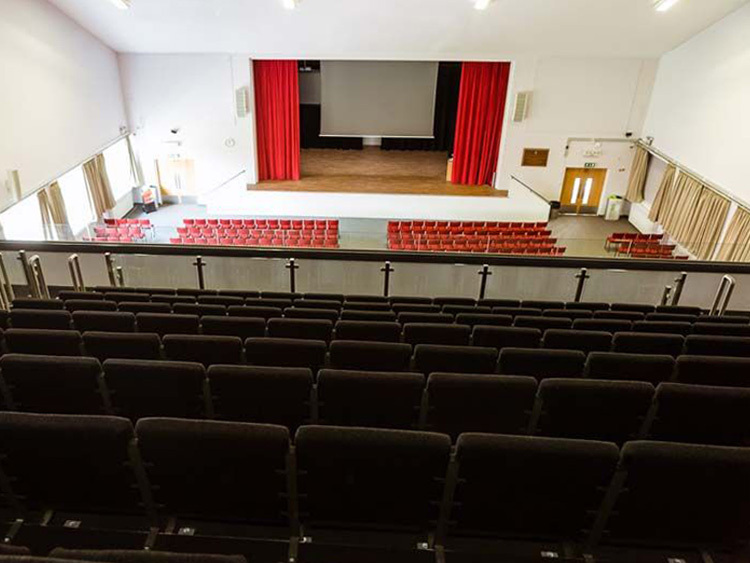 The Upper Hall seats 1000, in a theatre style lay- out and includes a 220 seat balcony. The large stage has step access from the hall or from the wings. There are changing rooms and a number of small rooms that can be used as green rooms. 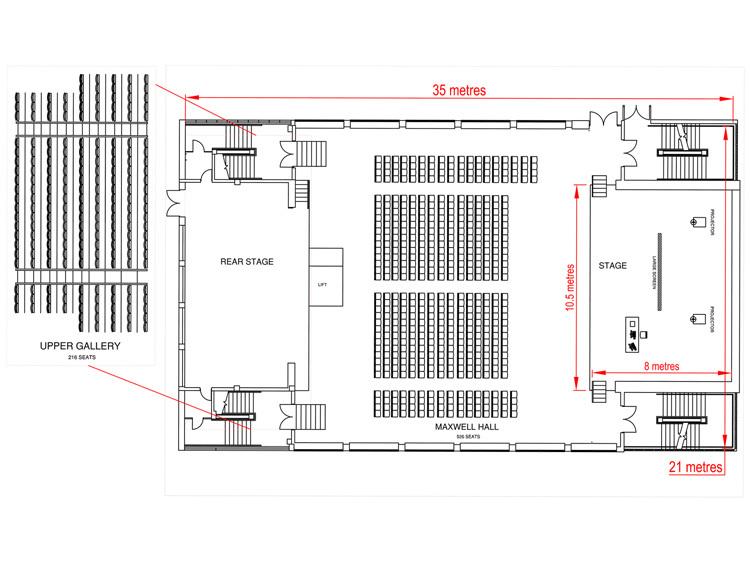 The Upper Hall can also be used as a stranding venue with the seating removed or as an exhibition venue. 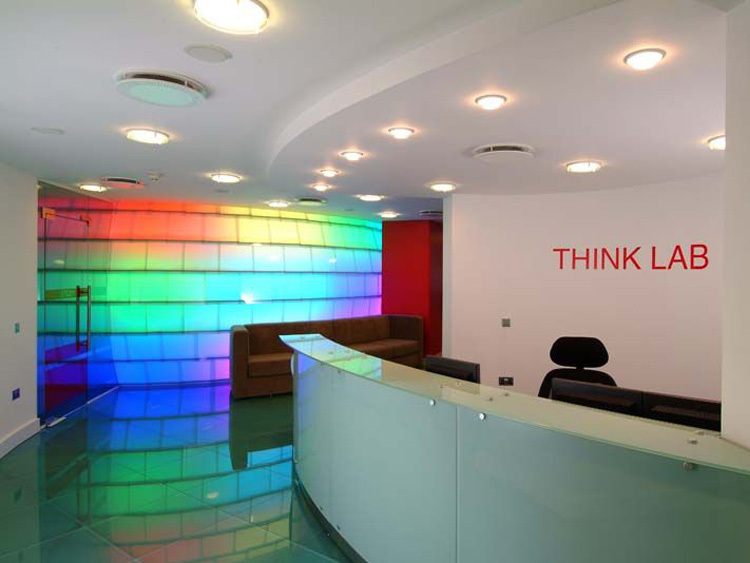 The size and flexibility of the space make an excellent choice for large or complex events. Equipped with audio visual equipment, wireless network access is available. The Lower Hall makes an excellent exhibition area when used in conjunction with the Upper Hall.The entrance foyer with its cloakroom is ideal for registering delegates or selling ‘on the door’ tickets.